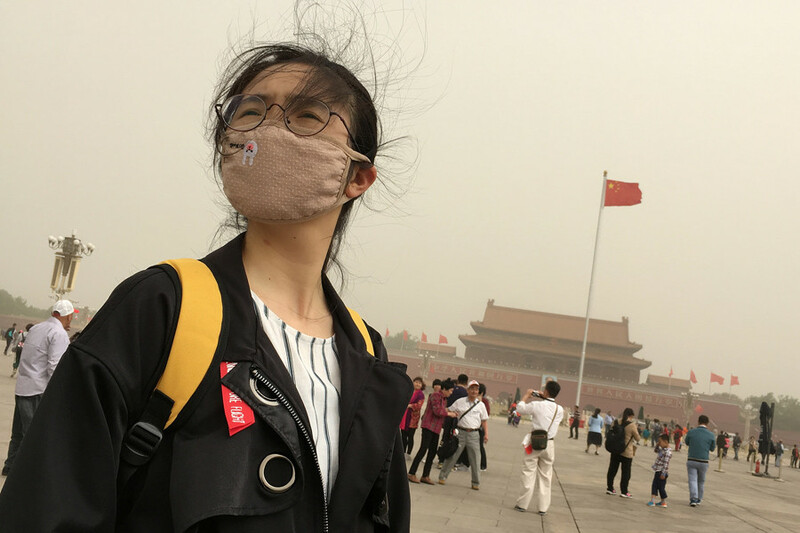 A sandstorm blowing into China has shrouded Beijing in smog and pushed its pollution to even more dangerous levels than usual. Children and elderly people have been advised to stay indoors, and dozens of flights have been canceled. 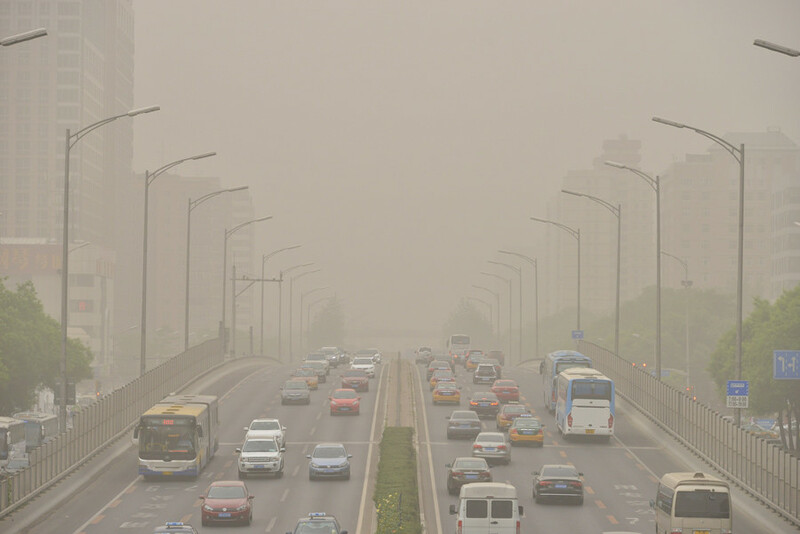 Sand and dust began blowing into Beijing from Mongolia and Inner Mongolia on Wednesday afternoon. It has since affected an area of up to 1.63 million sq km, according to China's National Meteorological Center. By Thursday afternoon, the city's air quality index (AQI) jumped from under 100 to 621 – from "moderate" to "beyond index." It went down slightly in the evening, but remained at "beyond index" levels. — BeijingAir (@BeijingAir) 4 мая 2017 г.
Beijing government data showed that the average readings of PM2.5 – the smallest and most harmful particles in the air – had risen to 684 micrograms per cubic meter in parts of the city by Thursday afternoon – more than 27 times the World Health Organization’s (WHO) recommended exposure level over 24 hours. Children and the elderly have been told to stay indoors, while drivers have been instructed to take extra precautions on the road. Some 50 flights have also been delayed or canceled due to the low visibility. Many took to social media to share their photos of the smog, with one user regretting that he had opened his window for some "fresh air" overnight. — Jamie Manley (@jamie_manley8) 4 мая 2017 г. Another stated that although her camera should have been able to pick up mountains in the distance, there were none to be seen in the smoggy photo she snapped. — Isabel (@BlipTweeting) 4 мая 2017 г. 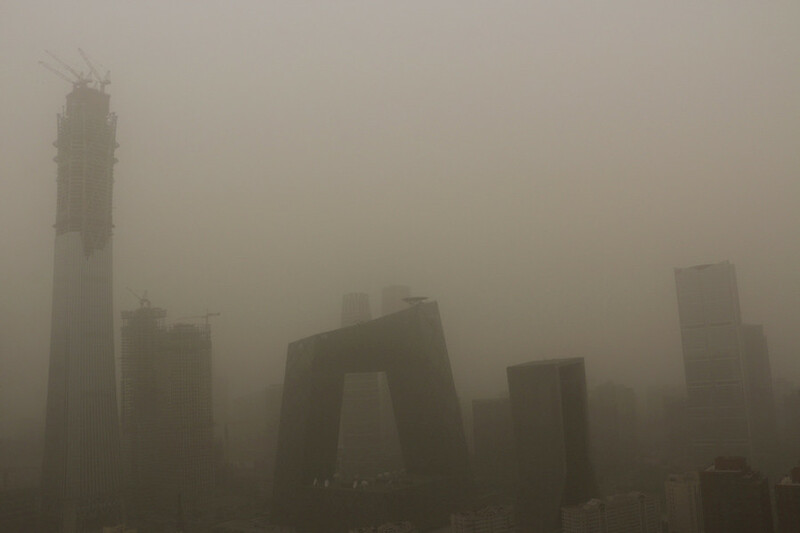 One person referred to the combination of a sandstorm and Beijing's usual industrial pollution as an "airpocalypse." — Li Shuo_Greenpeace (@LiShuo_GP) 4 мая 2017 г. 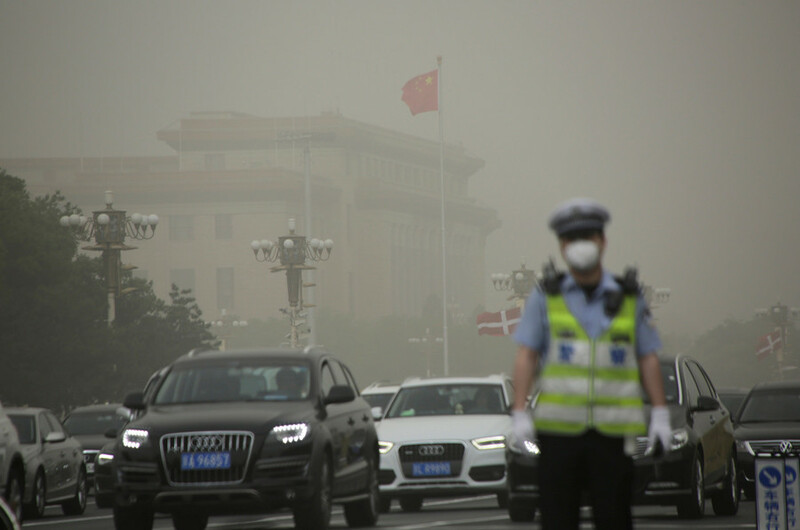 The storm is expected to move south on Friday, according to the National Meteorological Center, resulting in parts of southern China getting a dose of the smog over the weekend. Sandstorms are common in China in the springtime, as winds pick up across the Gobi desert, gathering fine sand and dust particles along the way. The problem has been exacerbated as deserts continue to expand due to climate change. 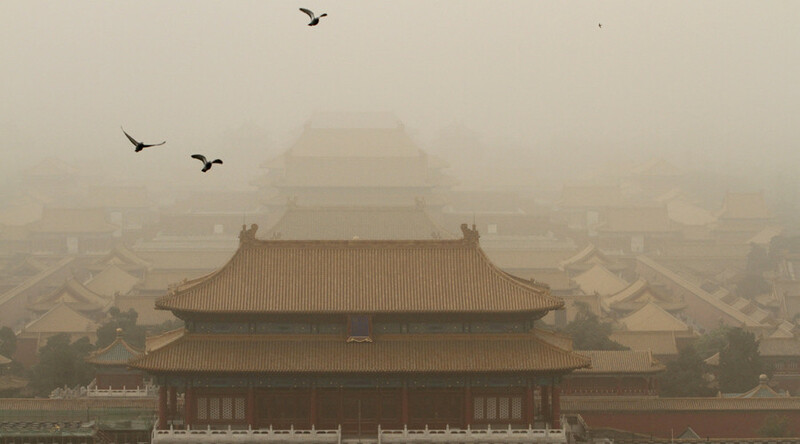 China is no stranger to smog, with the country's pollution contributing to 1.6 million deaths per year, according to a recent study. Although the Finance Ministry says the budget to combat smog was boosted by 250 percent this year to US$5.8 million, the problem is worsening. Beijing's PM2.5 readings surged by 27 percent over the first quarter of 2017, compared to the same period last year, the South China Morning Post reported last week.